Syrris was founded in August 2001 by Mark Gilligan and Richard Gray to address the challenges faced by the pharmaceutical industry by the development and application of new and exciting technologies. Syrris quickly established a small, but highly capable team of engineers and scientists with the focus of improving productivity in R&D chemistry. By 2003, Syrris had received a significant investment that enabled the early stage development of Africa (a fully automated microreactor system). Interest and funding from several large organisations enabled the complete development of Africa. 2004 saw the official launch of Africa as well as significant expansion. In 2005 as Syrris sales increased, Syrris, Inc. was set up in Boston, Massachusetts, US to capitalise on significant interest and demand in North America. A key aspect in the development of Africa involved the design and manufacture of Microfluidic devices and Microreactors. In early 2005, Dolomit was set up as a subsidiary of Syrris with a focus on providing Microfluidic Solutions to customers around the world in a very wide range of applications outside of the field of chemistry. Syrris’ increasing success in 2006 allowed it to develop a lower cost alternative to Africa known as FRX. 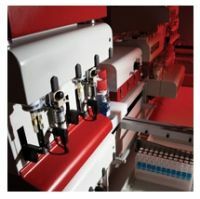 This modular, cost-effective flow chemistry system makes flow chemistry accessible to everyone and increased the Syrris global user base. The Atlas range of automated batch reactor products was launched in August 2006. Designed specifically for ease of use, all Atlas products require no tools, are highly chemically resistant and can be controlled by the hardware or PC software. Atlas allows the control of one or many reactions at a time with volumes from 5 litres to 1ml in jacketed reactors, flasks or vials. During 2007, the new Syrris products of FRX and Atlas were quickly adopted by major pharma companies. Syrris also started to develop its worldwide network of distributors including China and India. The unique and innovative design of Atlas became an instant success and this enabled Syrris to further expand its team both in the UK and globally. In 2008, a Japanese Syrris subsidiary office was set up in Tokyo. The versatility of the Atlas product range enabled it to be configured for a wide range of applications. 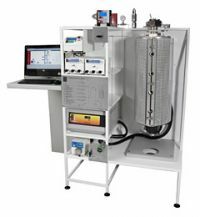 New Atlas systems launched in 2008 included ph control, volumetric and gravimetric, turbidity and reaction calorimetry. Syrris’ engineering expertise and experience enabled a Custom Reactor Systems team to be set up. This department was primarily started to offer chemical reactors over 5 litres in volume and/or with high temperature or pressure requirements. 2008 also saw the launch of Teaction Master, an intelligent module that automates other manufacturers jacketed reactor systems and logs data without the need for PC software. An order value increase of nearly 2.5 times the 2008 total made 2009 a year of global expansion with the incorporation of Syrris India as Syrris’ third subsidiary office and the signing of 15 distributors in countries including Singapore, Norway, Belgium, Germany, Thailand, and many more. Syrris Brazil was officially launched in January 2010. 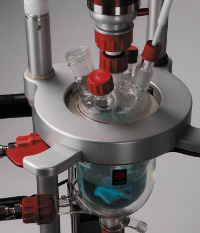 Syrris’ new Asia Flow Chemistry pump was launched in March 2010. A range of high pressure Atlas option products (Sodium and Potassium ) were also launched. 2011 saw the launch of Globe andAsia. Globe is a new jacketed reactor platform that saves time, money and space by enabling vessels from 50ml to 5L to be used with same clamp, lid, circulator and stand. Asia is the most advanced flow chemistry system ever developed. It is compact, easy to use, chemically resistant, has wide temperature, pressure and scale ranges and can be used manually or can be fully automated. Since its inception, Syrris has developed a range of ground breaking products for research and development chemists. Syrris continues to grow at a rapid rate and has exciting new products due for launch throughout this year. 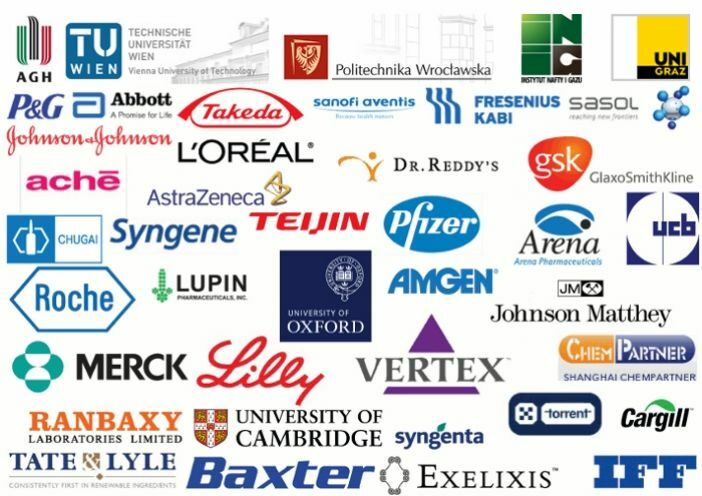 Syrris is proud to have a large customer base including the vast majority of major pharmaceutical companies, academic institutions, CROs and biotechnology companies in over 40 countries worldwide. Examples of Syrris customers include Pfizer, GlaxoSmithKline, Roche, Merck, Arena, Abbott, Biogen, Johnson&Johnson, Amgen, Teijin Pharma, Chugai, Vertex, Torrent, Loreal, International Flavors and Fragrances, Burnham Institute, University of Oxford, Moscow State University, Technical University Vienna, Zhejiang University, MIT, Univ. Central Florida, AGH Krakow, Institute of Oil & Gas Krakow, Wrocław University of Technology, The Central Mining Institute Katowice and many more.